The British crooner had already rescheduled his appearance at the Mystic Lake Casino in Minnesota due to what his manager called "a medical emergency". 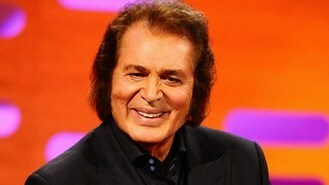 Humperdinck has now cancelled again due to ill health. The 77-year-old singer's Facebook page says he called off the September 27 performance because of "a trapped nerve in his neck." His website, www.engelbert.com , says an appearance in Thunder Bay, Ontario scheduled for September 28 is also canceled. Humperdinck is working on a duet album, featuring Elton John, Smokey Robinson, Kenny Rogers, Neil Sedaka, Willie Nelson and Gene Simmons of Kiss.